Something’s brewing in the NBA between Sacramento Kings owner, Vivek Ranadive, and Dallas Mavericks’ owner, Mark Cuban. No, it’s not about King James and the MVP Race or David Stern’s retirement. Believe it or not, they’re bickering about the use of mobile technology during live NBA games. A new study on stadium Wi-Fi habits, commissioned by the NFL, discovered that the busiest period of mobile use during a game comes at the beginning and mobile use slowly decreases during the game. Most of that mobile activity is not looking at the play-by-play or statistics; rather, it’s photo uploading through Facebook. Maybe Cuban is right. But then again, mobile apps catered to the in-game experience are not widely available yet and the lack of in-game use may be due to a lack of availability. I do know that when I’m at home, watching the game, I’m using multiple devices at the same time. 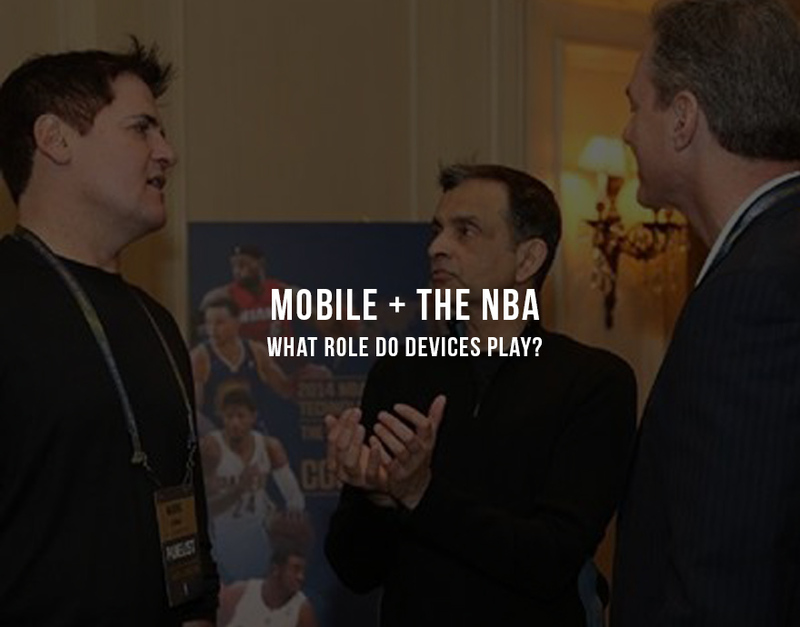 But, when I’m at a live NBA game, I rarely take my phone out. Why would I? I just paid a ridiculous price for a ticket. In reality, both owners are right. NBA fans are a diverse group of people. Some would love the extra features of being able to look up stats and figures related to the game. Others would find it distracting, and would prefer to keep the phone in their pocket. The real key here is giving those fans who prefer the mobile experience, a great app that meets their needs. Cuban needs to step into the 21st century and reach out to Mavericks fans that fall into this group.